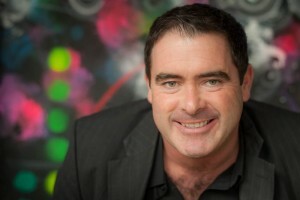 Des McLean is a multi-award winning stand-up comedian, TV & Radio presenter, event host and actor. Based in Glasgow Des is in demand both throughout the UK and across the world and has recently toured America, Canada, New Zealand and Australia. 2017 sees Des embark on a nationwide tour with a brand new stand up show. Des is very much in demand for corporate events, award ceremonies and charity balls. All media enquiries and bookings should be submitted via the contact page.